Bausch & Lomb is a company that was originally founded in 1853 in Rochester, New York. It is best known for its creation and marketing of the iconic Ray-Ban brand of sunglasses. The company is also known as the first major manufacturer to launch soft contact lenses. Since that time they have become one of the world's largest contact lens manufacturers. Over time the company was transformed into an ocular pharmaceutical company therefore expanding their product offerings into therapeutic medicines for the treatment of certain eye diseases. Ongoing research and development continues to pave the way for new and innovative products such as the Bausch & Lomb Ultra for Astigmatism, which is known for its comfort, excellent optics and adaptability properties. Why Is Bausch & Lomb Ultra for Astigmatism So Comfortable? 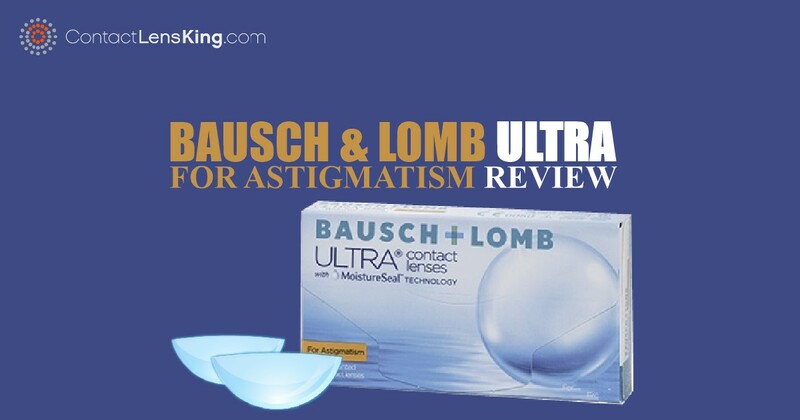 The Bausch & Lomb Ultra for Astigmatism belongs to the Ultra contact lens brand, which uses a special 3 silicone molecule combination formula in conjunction with a special PVP or polyvinylpyrrolidone polymer that is widely known for its increased water retention. The company also uses its MoistureSeal technology to deliver improved comfort for the wearer. In fact, according to Bausch & Lomb's product information page this lens helps maintain 95% of lens moisture over the course of 16 hours. How Bausch & Lomb Ultra for Astigmatism Promotes Superior Eye Health? Oxygen transmissibility plays a critical role when measuring a contact lens materials' abilility to deliver oxygen and maintain excellent eye health. 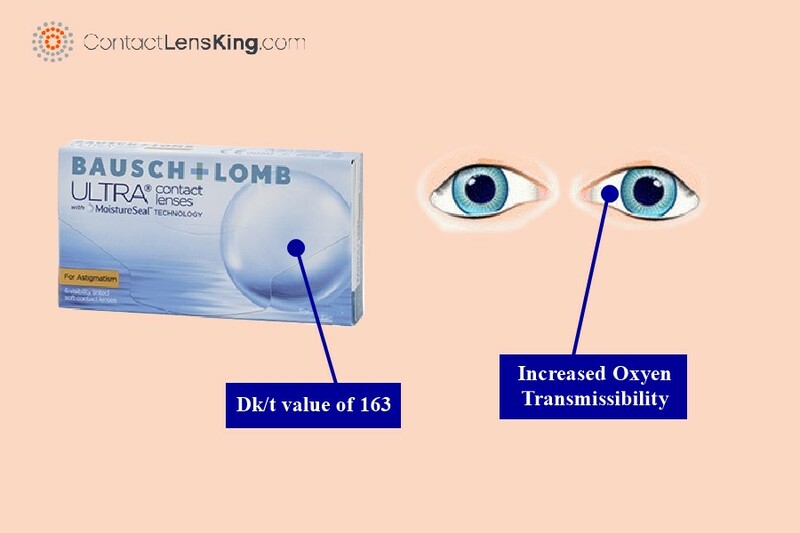 According to Contact Lens King this lens contains a highly transmissible material with a Dk/t value of 163, a value that is far greater than much of the competition. How Does Bausch & Lomb Ultra for Astigmatism Adapt to Modern Needs? With 73% of individuals in their 20's reporting symptoms of digital eye strain there has been a growing demand to address and combat the development of this disorder. Luckily, the Bausch & Lomb Ultra for Astigmatism tries to do just that. 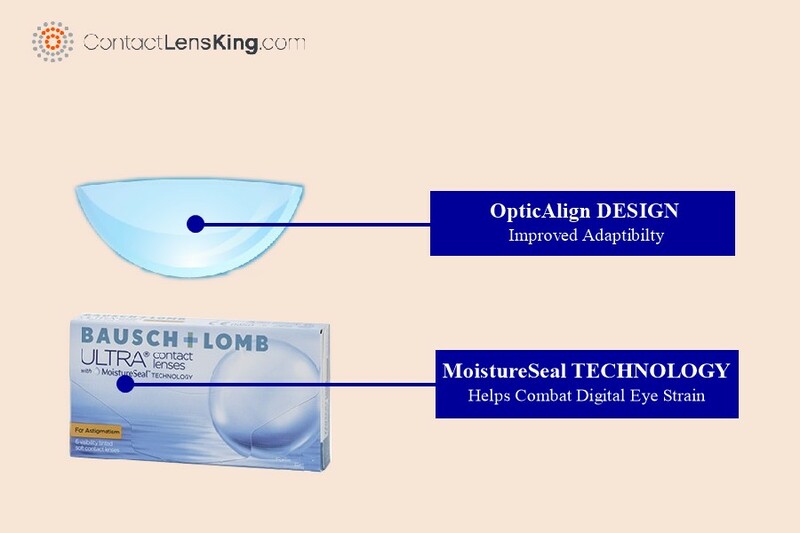 With its MoistureSeal™ and OpticAlign Design technologies it provides an easier and more comfortable way for the wearer to adjust to the lens while adapting to today's digital demands. 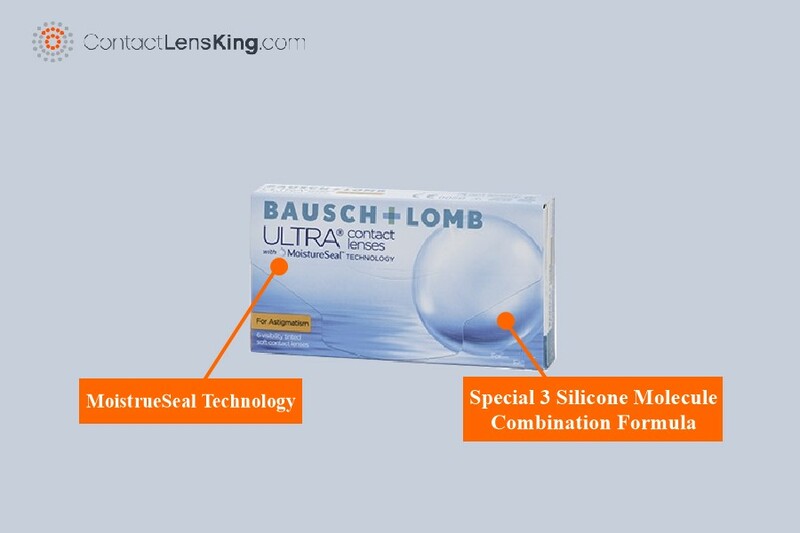 According to Contact Lens King's product page the Bausch & Lomb Ultra for Astigmatism has the following specifications. For more information on this and other contact lens products visit our site at ContactLensKing.com.